| Healthy Living Articles | Food and Meals | Five Fall Foods with Fantastic Flavors! Check out these top picks for tasty and nutrient-dense fall foods! The autumn season may be associated with trees shedding leaves, but these foods aren’t shedding any flavor! Apples are packed with strong antioxidants and fiber, which are excellent for your health! The phytochemicals in apples have even been linked to a reduced risk of cancer, cardiovascular disease, asthma, and diabetes (3). 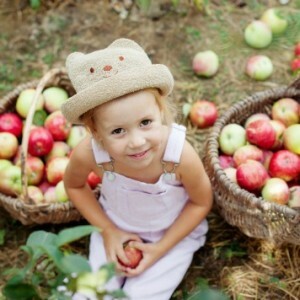 Depending on where you live, dozens of apple varieties might be available; have fun exploring your options! 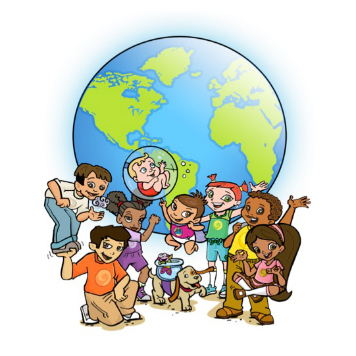 Get your young kids interested in apples by reading these cute children’s books: One Red Apple, by Harriet Ziefert and Apples, by Gail Gibbons. and My personal favorites are Fuji, Honeycrisp and Granny Smith. These taste great in mini-cheese pita pizzas. Apples can also be served with honey-roasted peanut butter for an easy and satisfying snack. Sweet and crispy apples taste great in smoothies, mixed with kale and fresh lime. Looking for more ideas on apples? 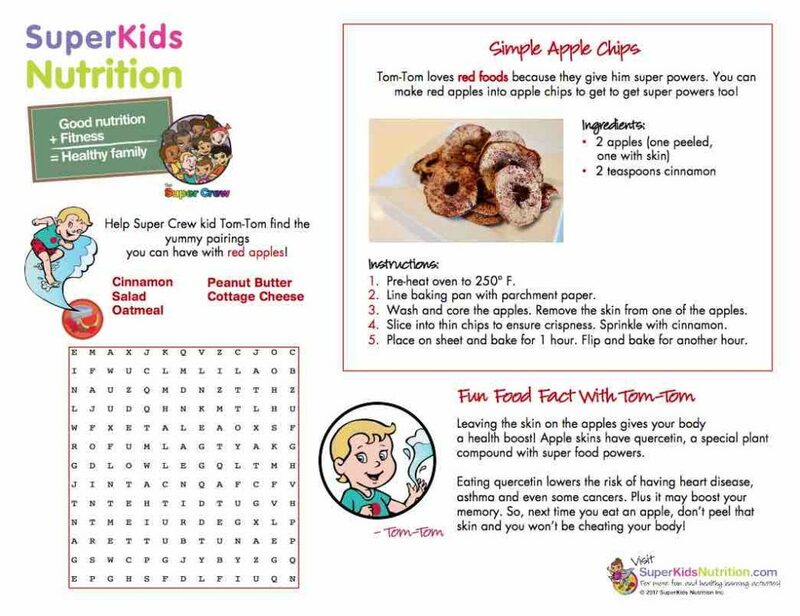 Check out Super Crew kid Tom-Tom’s Tasty and Fun Apple Chip activity. Jicama (pronounced HICK-a-ma) will take you on an adventure if you’ve never tried it. For an easy and refreshing slaw, grate, or slice jicama into strips, toss with lemon or orange juice and fresh chopped cilantro. 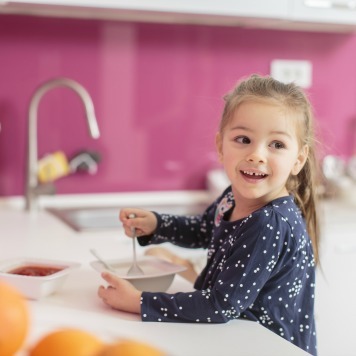 Kids love the crunchy texture of jicama slaws! Check out what Super Crew Kid Carlos has to say about jicama. Pumpkin seeds (pepitas) are rich in iron, zinc, and monounsaturated fats (2)! 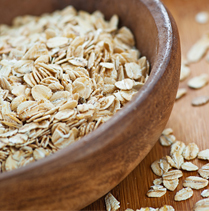 These nutrients benefit blood formation, the immune system, and heart health. Pepitas are also a lean protein source (2). Try sprinkling them in a salad or on top of muffins before baking. Enjoy pumpkin seeds with an appetizer salad. Acorn squash is a good source of vitamin C and is also fat-free, cholesterol-free, and practically sodium-free (2). When stored in a cool, dry area, acorn squash stays fresh for up to 3 months! Try cutting your acorn squash in half lengthwise, removing the seeds, and stuffing the cavity with chopped apples, sweet Italian sausage, diced onion, and cinnamon. Bake in the oven at 400ºF until caramelized and tender. For a more savory spin, try stuffing with kidney beans, rice, tomatoes, and chili powder before baking. Visit your local farmer’s market or grocery store to pick out some of these foods while they’re still in season! Pick a new fruit or vegetable to try each week during the month of October, and enjoy the tasty flavors of Fall!